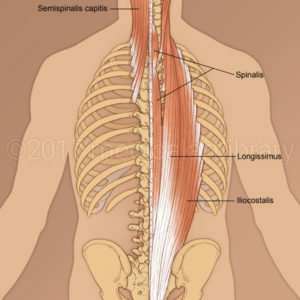 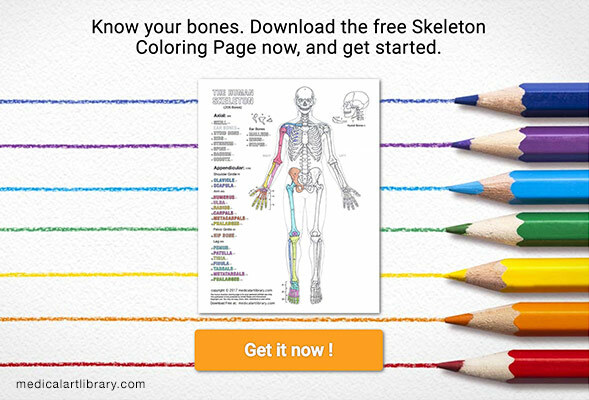 License Image The erector spinae is made up of three long groups of muscles: the spinalis, the longissimus, and the iliocostalis. 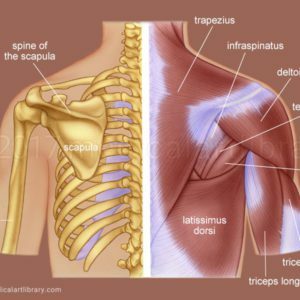 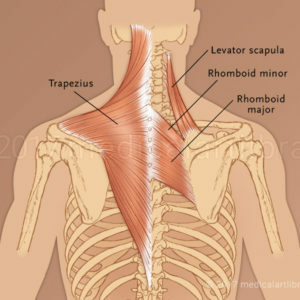 License Image The trapezius, rhomboid and levator muscles of the shoulder. 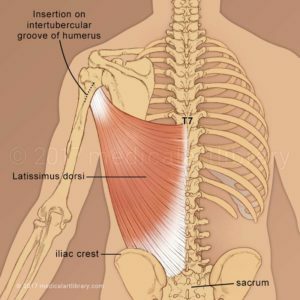 License Image The latissimus dorsi muscle of the back.